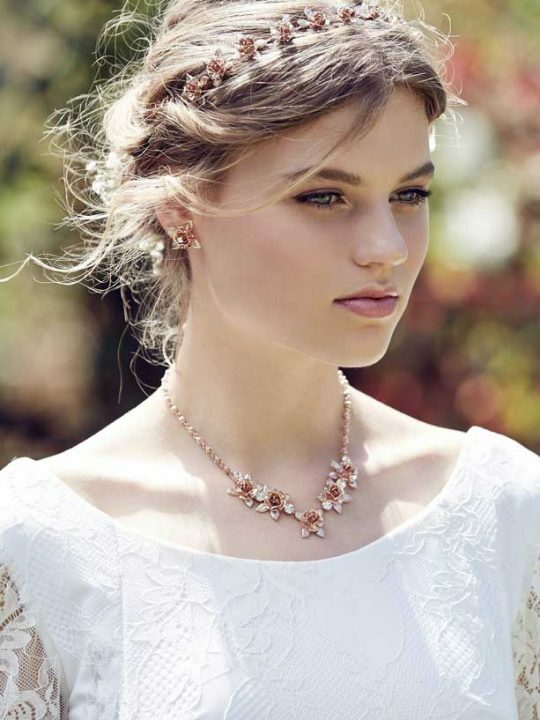 A timeless and gorgeous neckline with divine features. With crystal topped embossed findings that work perfectly with a sweetheart neckline wedding dress. Made in Melbourne by Hello Lovers Australia. Who said that you had to leave your bohemian flair at the door when accessorizing for a special occasion? 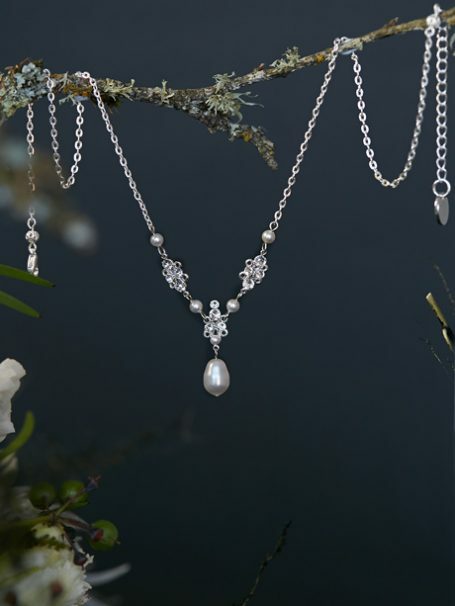 In a diamontie drop style, the Flirt pearl drop necklace incorporates a modern and timeless design featuring the elegance of Swarovski pearl teardrops. 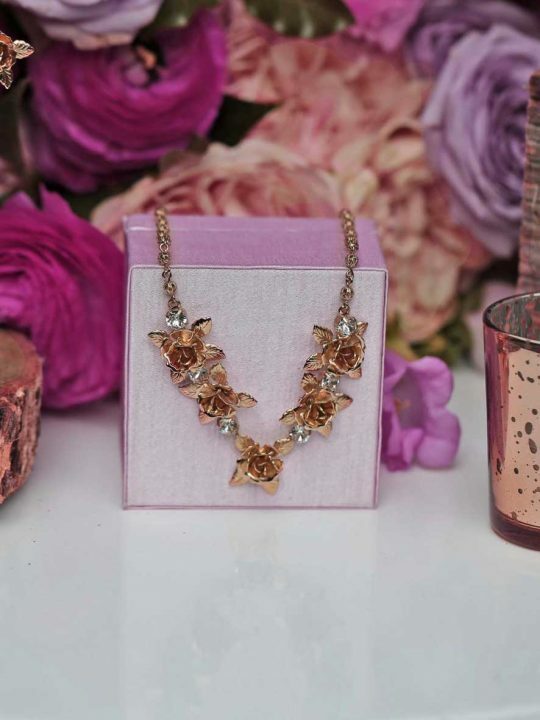 Wedding jewellery made with love. Match with the Mystic wedding earrings with a pearl drop. 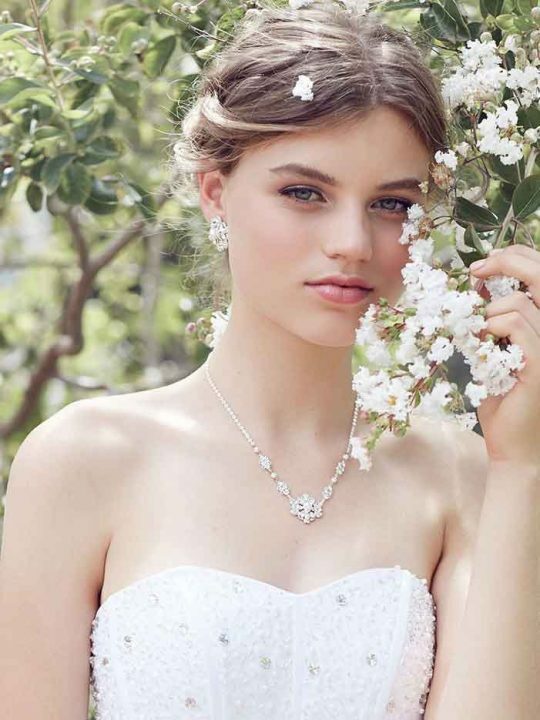 This wedding necklace suits lace wedding dresses.